Recording a call is a feature that allows you to record the important calls in your phone and also allows you to hear that after a while. Even you can record the various calls and show it to anyone too. In the Apple Operating system iOS, this kind of feature is not present and you cannot simply record the call using the ordinary call options. But there are several applications are available in the Apple Store which allows you to record the calls on your iDevices. In this post, I have shortlisted few applications that allow you to record the calls in the iPhone for absolutely free of cost. 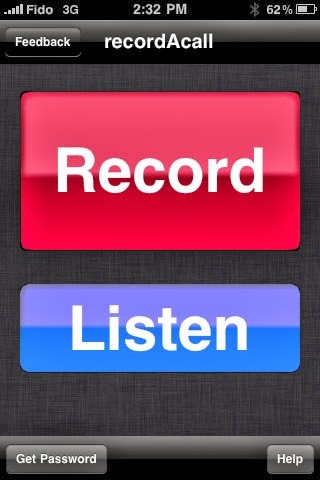 WePhone: WePhone is a brilliant app that allows you to record the various calling activities in your iPhone. WePhone has been downloaded more than 10 million times in the Apple App store.WePhone also allows you to call your friends for low cost, even you can call international for very low rates. WePhone provide you caller ID feature with free call recording option too.WePhone allows you to record the outgoing calls and also make the users to aware of the recordings in order to avoid the legal problems. By using this application, you can record your call up to 20 minutes. Even you can also email your recordings from your mobile itself. And also you can download it in your personal computer, and also use it in wave file format. Google Voice: Google Voice is a call recording application that allows you to call international calls at very low rates.Google Voice allows you to send the text messages too; you can easily record your calls through the Google Voice. The main drawback is that, Google Voice is only available for the United States only. Google Voice allows you to record the incoming calls of your mobile. Unfortunately, you cannot record the outgoing calls in your mobile phone. Google Voice can work with the iOS version 4.3 and higher. Google Voice is totally free to download in the Apple Store. Tape a Call Lite: Tape a Call Lite is one of the most popular apps for the iPhone and you can easily record the incoming and the outgoing calls very easily. Tape a Call Lite has no limitations in it and you can record as much you want. Even you can record the calls of more than a number. Tape a Call Lite provides you an easier way to use the interface and also you can recordthe calls in MP3 file format, and also you can upload that in your DropBox account. Call Recording by NoNotes: Call Recording by NoNotes is a brilliant application that allows you to record the calls very cleanly. Call Recording by NoNotes allows you to record the calls with unlimited recording times, and also you can share the recordings very easily. But the Call Recording by NoNotes app is only applicable for the North America only.